Any thoughts that Canberra City Prawns would easily defend its Futsal Premier League title in 2014-15 were dispelled last week. The Prawns, so dominant last season, were held to a 3-all draw by Monaro Panthers Green in the pair’s entertaining round two clash. Dragan Stegnjaic continued his red hot start to the season by bagging a brace – he now has five goals in two games – and he was joined on the score sheet by teammate Rui Ferreira. Stephen Domenici scored two for the Prawns, while Goran Josifovski was also on target for the reigning champions. In other action, Boomerangs FS White registered a 5-1 victory over Monaro Panthers Grey, while Boomerangs FS Blue overcame Untouchables FC 5-2. In round three of the women’s Futsal Premier League, Monaro Cubs beat Weston-Molonglo Pandas 5-4, Monaro Panthers beat Untouchables FC 7-2, and Boomerangs FS El Diva saw off Belconnen United 2-1. Canberra United responded to its round three loss to Melbourne Victory in ideal fashion on Saturday as it swatted aside Brisbane Roar on its way to a 2-0 victory. United went down 4-2 to the Victory the week before last, but benefitted from a re-structure by coach Elisabeth Migchelsen and responded in the best possible fashion. The victory means United now has three wins from four outings in the 2014-15 season, and the result boosts the reigning league champions’ hopes of retaining its crown. Grace Field opened the scoring for United, and it was her first goal in her 12th appearance for the club. She found herself in the right place at the right time to head home from an Ellie Brush corner kick. Michelle Heyman sent her side two goals to the good in the 57th minute. The striker pounced on the ball following a failed Brisbane clearance and guided the ball into the back of the net for her fourth goal of the season. 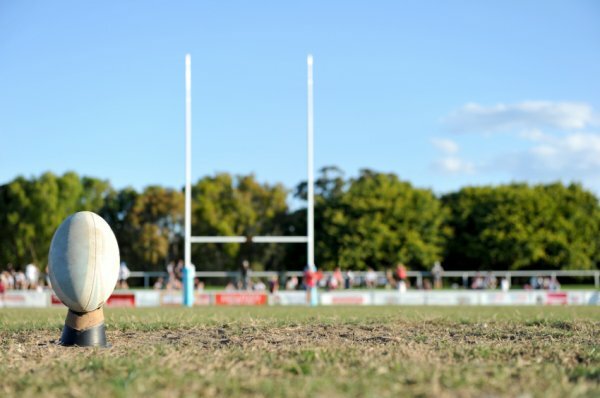 The Canberra Vikings suffered its second draw of the National Rugby Championship season in controversial circumstances on Thursday night. The Vikings had a match-winning penalty goal waved away after the full-time siren in the 21-all draw with the North Harbour Rays at Viking Park. Jesse Mogg’s 35 metre effort appeared to have sailed through the uprights, but the goal was not awarded and the Vikings were made to share the points with its opposition. The Vikings drew just two weeks ago with the Sydney Stars, and Thursday’s second draw leaves it in fourth position on the competition table. Nigel Ah Wong opened the scoring for the Vikings, but the Rays hit back through Luke Holmes to lead 8-5 at half-time. Jarrad Butler and Robbie Coleman crossed for the Vikings’ other tries, while Jack Dempsey and Kotoni Ale crossed for the visitors.